Sage Green Pintuck Pullover Cotton Blouse with Button, "Sage Garden"
Inspired by rich Thai traditions, Jamriang creates a blouse for the modern woman with a hint of inspiration from nature in the color. 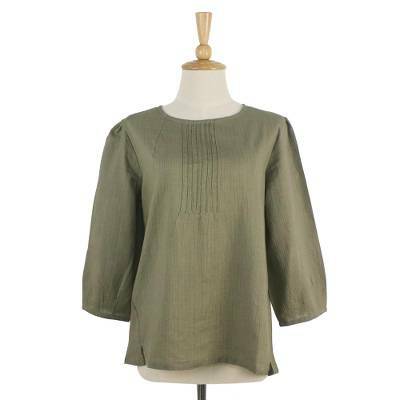 This sage green cotton top features stylish front pintucks and buttons in the back. Voluminous sleeves allow for comfort and movement.